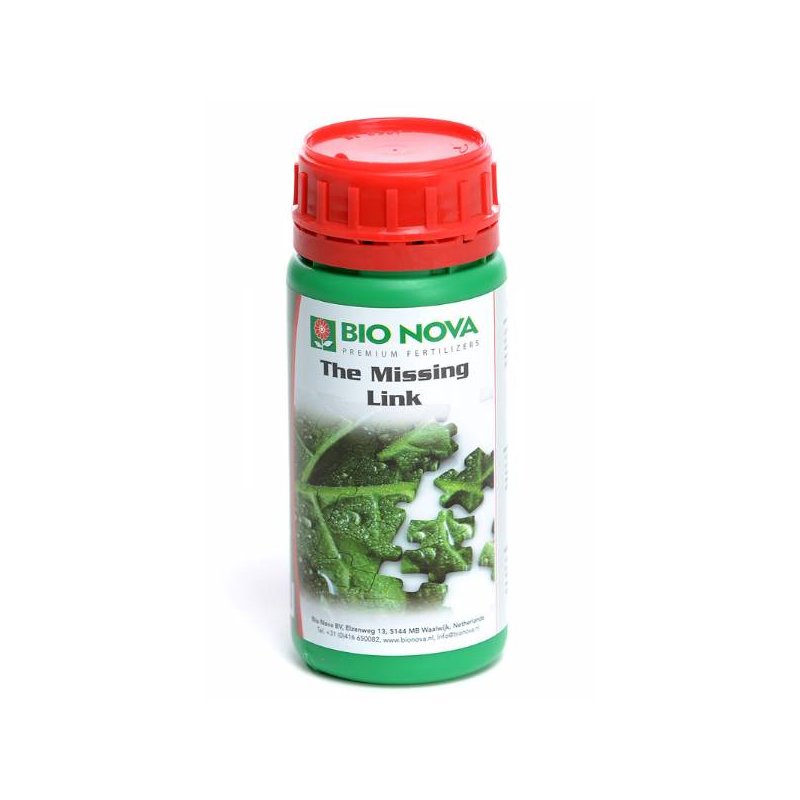 This premium product from Bio Nova laboratory, protects plants from damaging external influences, it stimulates the plant’s natural defence system and demonstrably increases the yield. The Missing Link consists of a great number of special trace elements that have become essential for the growth and flowering of any living creature on this planet as a result of a process of millions of years of absorption and release by plants and animals, composting, re-absorption, microbe activities etc., Nowadays people cultivate all sorts of crops in our over cultivated environment. They disregard the needs of crops, and often disrespect the laws of nature. Moreover, as a result of deficiencies of these essential nutrients, organisms are no longer able to fully develop themselves. The administration of these indispensable nutrients leads to an unprecedented positive effect on both the quality and the yield of treated crops. This product fills the hole in the foodchain which had not been discovered before. Justifiably this product can be called The Missing Link… The Missing Link can be used in combination with X-ceL Booster. This forms an ideal combination during the growing and flowering period.